Frame It All - Simple Modular Gardens. The gardens that grow with you. Frame It All One Inch Series Anchor Joint Two-Pack allows you to easily create or extend your raised garden bed. 360 degree swivel allows for endless design options. Anchor joints are used to connect any One Inch Series boards together (at any angle) and connect the raised bed to the ground. 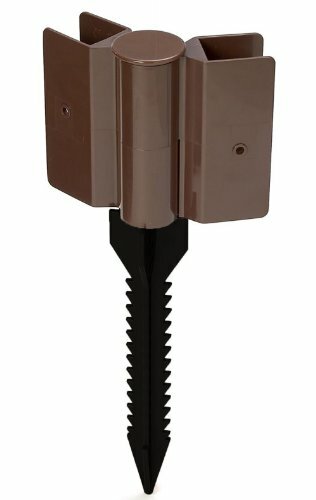 The barbed stake prevents heaving and shifting caused by temperature change or freezing. If you would like to install your raised bed on a hard surface (such as roof tops, patios or decks) the stake can be removed. Frame It All Stacking Joints can be used with any Frame It All One Inch Series board or standard 1ft. x 6in. lumber.